As glass artist’s we damaged the earth with our passion. Glass is formed at the cost of the environment; we should create objects, which pioneer in beauty and technique. 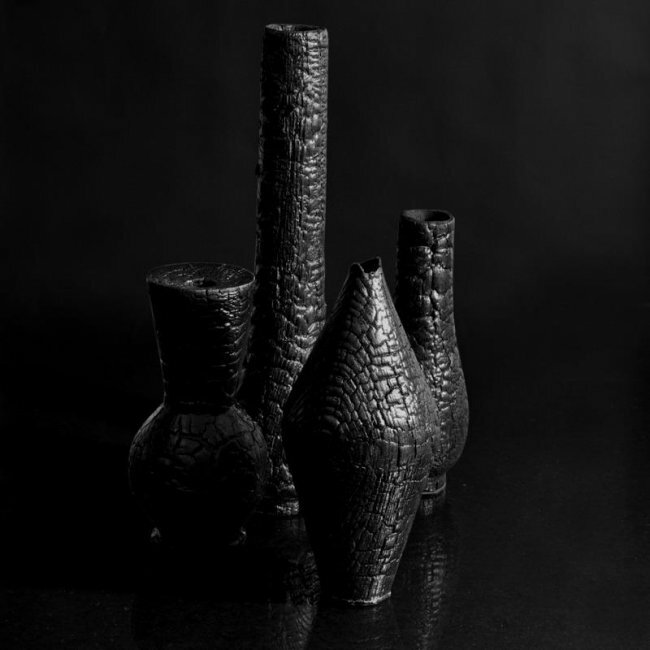 ‘Charcoal Glass’ is a reflection on the energy used to produce our creations, and enlighten the viewer on the carbon-footprint attached.